In the years following the Vatican II Council, Fr. Matthew Fedewa, a priest of the Lansing, Mich. Diocese, was inspired by the renewed vision of the Catholic Church and the centrality of the Paschal Mystery to design a retreat experience which would bring the essentials of the Catholic faith into clear focus for high school seniors and young adults. As a senior high teacher himself, Fr. Matt was well aware of the disenchantment of youth with the traditional retreat model. What initiated the first Teens Encounter Christ weekend was a request from a local adult faith community who asked for his help in creating a similar faith encounter for their youth as they had experienced in Catholic movements like Cursillo. The first TEC weekends were held at a former nurses' residence hall on the campus of the Sisters of Mercy Hospital in Battle Creek, Mich., where Sr. Mary Concetta, RSM (Dorothy Gereke), the administrator of the hospital, hosted the weekends and helped to work out many of the practical details of the TEC weekend structure. Providentially, at the request of the Diocesan Office of Religious Education, Fr. Matt was sent to attend five summer programs at Loyola University's Institute for Pastoral Studies in Chicago, Ill. Later, Sr. Concetta also attended. There he was brought under the influence of Fr. Alfonso Nebreda, SJ, highly acclaimed worldwide for his leadership in religious formation and the catechetical renewal after Vatican II. After having worked in Japan for many years, Fr. Alfonso was convinced that, due to the cultural shift of the times, ministry to youth in America had to adopt the approach of missionary catechesis, which meant that the Good News had to be presented within the context of youth culture. The second insight which Father Alfonso contributed was, "As soon as a person can act in a personal way they should be led to make a commitment by which faith becomes a human reality for them. To lead [persons] to an adult conversion and true commitment to Christ is one of the greatest challenges facing religious education." The priest believed that many youth had been sacramentalized without having been initiated into the faith vision consonant with their age and culture. Fr. Alfonso taught that there was a need to experience the core truths of the faith by persons at the time of a significant passage, such as youth moving into adulthood. Those are the times of faith crisis, and also times in which youth may opt to accept the Christian vision as the guiding norm for building their adulthood. For this reason, Fr. Matt deliberately chose to design the TEC process for those in the transition between later adolescence and young adulthood. The first TEC weekend was held October 9-11, 1965. During the following years the movement met with great success in the Lansing Diocese, and was shared with many other dioceses, both near and far. However, no over-seeing authority to moderate the quality of the process was in place. As a result, the original process underwent various changes in various places, until under the same name of TEC, a vast variety of manuals were being used. In Lansing itself, the number of weekends was such that the adequate preparation of adult teams suffered, and by 1970, the local movement closed down. However, strong centers throughout the U.S. continued to maintain the high quality in the original movement. Beginning in 1975, these solid centers of the movement, sensing the need for unity and clarity in their work, started to come together to share their experiences and efforts to maintain authentic spirituality in the movement. These annual gatherings resulted in the formation of the National TEC Conference, an organization designed to sustain the spiritual quality of the local movements. One of the projects that was constantly in the forefront of their considerations was the publication of an official manual which would contain clear concepts and authentic norms for the unfolding of the process. In the summer of 1984 in Omaha, Neb., concrete plans were laid to draw the fragmented movement together and re-establish it on the basis of the original principles and spirituality. Fr. 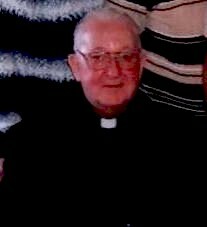 James Brown, OAR, who celebrated 60 years as a priest on May 25, 2006, served as a leading force and inspiration in drawing a research and study group together which included Fr. Matt and many other TEC leaders from around the country. Through a series of annual workshops and retreats over a 12-year period the group developed the material for an official manual. Fr. Jim continued to provide a leading role in editing the materials and writing an offical TEC manual. The manual was accepted by members of the National TEC Conference at Roseville, Minn., June 8, 1997. In ongoing efforts to rebuild the TEC Movement, the new manual has been shared with local diocesan movements only after the adults handling the movement have made a Renewing the Vision of TEC (RTV) workshop. These workshops restore the spiritual vision of TEC and to share the insights which have been gleaned from the experience of over 30 years and which now appear in the manual. The movement first requested an Episcopal Moderator in 1976, with Bishop Maurice Dingman of Des Moines serving in this role. Through the years, the bishop moderators have taken an active role in encouraging and advising the TEC Conference in their efforts to establish the movement on sound spiritual principles and practices. Most Rev. Bernard F. Law (now Cardinal) is found among those who have advised the Conference. Our current Episcopal Moderator is the Most Rev. Roger Schwietz, OMI, Bishop of Anchorage, Alaska, who in 1998 presented the Official TEC Manual to the late Pope John Paul II at the Vatican. Fr. Matt, Dorothy and Fr. Jim were also present for this momentous occasion. In recent years, the word "national" was dropped from the TEC Conference title, and the TEC Leadership Council, which guides the work of the Conference, has assumed a more spiritual role in the movement. Within the Council, a spirituality committee has been established to monitor and facilitate the proper unfolding of the movement. No local TEC Movement may be established unless it is under the direct authority of the local bishop. Since the renewal of the movement, it has been growing at a rapid pace. In 1998, the TEC Leadership Council also placed the entire TEC Movement under the patronage of St. Therese of Lisieux, the Little Flower. "TEC as a way to journey to the Heart of Christ--making a generous and sacrificial love the center of our journey--finds in St. Therese's "way" a living model and in her, a joy-filled companion on our journey. We ask her for her intercession that we may ever be faithful companions in giving our hearts to God" (2004 (c) TEC Conference Manual; ref. Section 10, pg. 49). The TEC Concept Manual was originally written by Fr. Matt in 1965. Its contents were so in harmony with the best theories of religious education and formation they are as valid today as when they were first composed. In 1995, its language was updated in the light of the principles of Youth Ministry as laid down in the various official documents. The Concept Manual is the foundational document for which the movement and the present official manual is built upon it. For more information or to receive a copy of the manual please contact the TEC Conference office at office@TECconference.org. The CORE OF TEC, contains a series of statements agreed to by members of the National TEC Conference in 1985. They sketch the basic spiritual profile of the movement today, and articulate the insights that are recognized as essential to the authenticity of the movement. (These statements provide a thumbnail sketch of the movement and how it operates. A more detailed version is found in the TEC Concept Manual.) The spirituality committee of the TEC Conference concentrates on providing educational materials and training for adults aiding them in the formation of the adult faith community that sustains the TEC Movement. You can click on the "WORKSHOPS" button/link in order to view the training opportunities.